Collection of panels with microcement finish used by architects and designers for its exceptional qualities. It is in fact resistant, practical, water-repellent, hygienic with anti-stain treatment in addition to its unique and elegant aesthetic result. It is used in furnishing elements, in the interior design of hotels and shops and in all those applications that require particular aesthetic exclusivity. The microcement stucco is a premixed monocomponent powder consisting of special cements, resins, additives and selected quartziferous aggregates that, with the addition of clean water, allows to obtain a creamy and easy dough mixture characterized by high adhesiveness and flexibility. This feature allows to obtain a high grip of the finish to the support in MDF / HPL / PVC. The application with a spatula is completely manual and gives the product a material and essential appearance, characterized by more or less evident nuances that make it a very elegant and valuable solution. 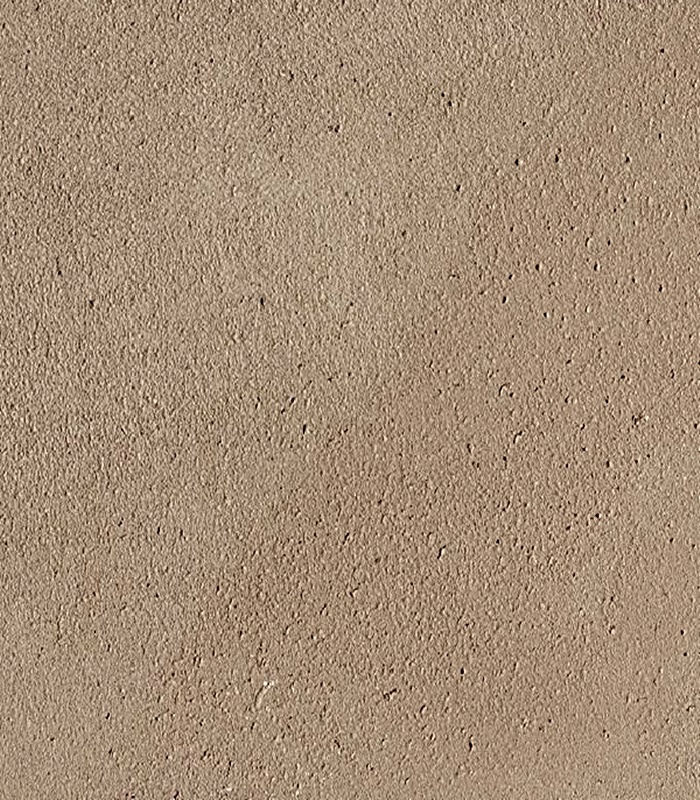 It is indicated as interior furnishing material: wall covering, semi-finished furniture, design objects and other uses compatible with its technical characteristics. Use as a kitchen top is not recommended. For ordinary cleaning, use a soft cloth moistened with water and mild multi-purpose detergents. Avoid cleaning the surfaces with denatured alcohol (drying, it could leave marks difficult to remove); avoid bleach or ph highly basic detergents (in case of prolonged applications, they can create a whitish halo). Other products that can damage the surface are: tricotilene, industrial solvents, hydrofluoric acid, caustic soda, paint solvents, hair dye. In any case, before using a new product, it is suggested to do a test on a non-visible point.